Misrad HaBriut in conjunction with The Academic College of Tel Hai have published a video showing how you can help people who have been emotionally traumatized by an event they just experienced. The video is appropriate for tweens and older. In Hebrew. You can also watch it on Facebook. Helplessness increases distress. Encourage the person to carry out effective and simple tasks such as contact relatives and collect phone numbers. A distressed person suffers from distraction and sometimes has difficulty speaking and cannot remember what happened. Have the person describe the sequence of events that occurred in order to create order and reduce confusion. Highlight the fact that the incident is over and behind him/her! Municipal veterinarians throughout the country are threatening to strike on October 26 in protest of a proposed new law that will transfer much of their authority to a תאגיד (corporation) that will perform veterinary inspection of food of animal origin under the authority of the Ministries of Health and Agriculture. The main focus of their ire is the revoking of what is called בדיקת משנה- literally secondary examination- of meat, poultry, and fish when it passes from municipality to municipality. The laws that require this examination were written 30 and 50 years ago and are not performed in any other developed country. Detractors of this examination say that each municipality charges exorbitant fees, has very limited hours for inspection (generally not in tandem with delivery hours), and actually damages the products by exposing them to high temperatures when opening the truck for the exam. Rescinding this part of the law will lower prices for the consumer and provide a higher quality product with a longer shelf life. The “taagid”, under government authority and not privately owned, will inspect the food before it leaves the factory as well as when it arrives at its final destination- whether it is a supermarket, cold storage, or restaurant. 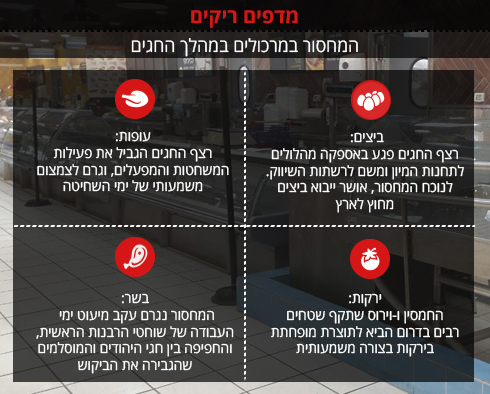 Proponents of “bedikat mishne” say that there won’t be enough inspectors to ensure the safety of food that is currently inspected by municipal veterinarians. Prices won’t drop as expected and consumers will receive a lower-quality product. This reform is part of the new Misrad HaBriut Food Law which passed the first reading in the Knesset and is being discussed prior to the second and third reading as part of חוק ההסדרים. This law combines several laws into one and therefore the Food Law will be whisked along with other politically important legislation. You can compare the hok to a VIP pass allowing fast access by avoiding all the lines. I have strayed from the point of this post, which was to say that if the municipal veterinarians strike, they won’t be examining meat and fish that enters their municipality. Since it must be inspected before it enters, there won’t be any meat or fish moved throughout the country starting on the 26th. Food can be moved locally, however. For example, if a shipment of frozen fish arrives by boat to the Ashdod port and is released to cold storage in Ashdod, all of the supermarkets in Ashdod can get fish delivered because it didn’t move between municipalities. Chicken, however, is a different story. Almost all of it moves between municipalities so expect a severe shortage. What people may not realize is that stopping production not only hurts consumers, it also causes צער בעלי חיים- suffering to the animals. Poultry has to be slaughtered by a certain age because if it is delayed, the birds will become too big for their house. This will cause excessive crowding and undue stress on the birds. It is not practical or financially feasible to move them to a larger house or split them up into two for that short time until they go to slaughter. Therefore, whatever the outcome, it must be decided quickly because there will be a lot of pressure on Misrad haChaklaut to prevent those birds any undue suffering. To see a list of all foods regulated by Misrad HaCalcala click here. To see a list of all foods regulated by Misrad HaChaklaut click here. To file a complaint regarding price-regulated foods, click here. I hope everyone is having a relaxing and joyous holiday. I apologize to those who came looking for me the past few months- I was quite overloaded at work and unable to get time to research and post here. I hope that everyone transitioned from summer cooking to holiday cooking with ease. If you were able to start early and pack your freezer for the full month, you were ahead of most of us, me included. We had a few cash flow issues and decided to shop in bits and pieces rather than all at once, and boy, was that a mistake! As I am sure you have seen, a combination of factors led to a severe shortage of eggs, chicken, cottage cheese, and vegetables. We survived by having hamburgers, hot dogs and french fries for one holiday meal to my children’s delight. 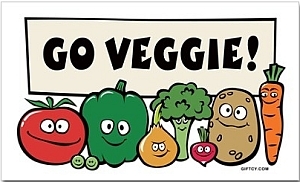 I raced back to the supermarket Thursday morning and grabbed the chicken before it was put on the shelves and carefully counted out how many tomatoes and cucumbers we will need for the holiday, trying to see what other vegetables could be substituted- even canned! The other shoppers and I were pretty somber as we trudged through the aisles picking up necessities as we went. Misrad HaChaklaut has been warning us of an egg shortage since highly pathogenic avian influenza (HPAI) hit the poultry industry this spring in addition to closing the doors to imported eggs from Turkey. Other countries have been exporting to Israel, most notably Spain (ES), but the increased time it takes from laying to landing in the supermarket has caused shelf life problems as well. At the beginning of this week a shipment of six million eggs was diverted to a pasteurization facility because they arrived 10 days late. That would leave only six days from the date of arrival at the egg grading facility to the end of the sell-by date. The government approved the import of 7 million eggs without meches for September as a replacement for the lost eggs. Between the Jewish holidays and the Muslim/Druze holiday of Eid al Adha (“The festival of the sacrifice” or chag hakorban), there weren’t any workers left in the slaughterhouses to process chicken. Beef, which has a much longer shelf life than chicken, wasn’t affected. The constant flow of holidays-Shabbat-holidays also affected production of cottage cheese, which needs 24 hours straight to produce and has a shelf life of only 12 days. The price didn’t go up as far as I could see, but there was barely any to be had on the shelves. While this sounds lovely, the truth is that no matter how low the wholesale price is, nothing is preventing the supermarket chains from doubling- even tripling the wholesale price. In fact, this was seen when the import tax was removed from apples- the prices actually went up! See my post about it here. The same with canned tuna- the import tax is gradually going down, but retail prices have stayed the same. So unless the government steps in and limits the markup on newly-tax-free items, the only people who are benefiting from these tax breaks are the supermarket chain owners- not the consumers. Hopefully the consumers’ unions will realize the futility of lowering taxes and push for more meaningful solutions. 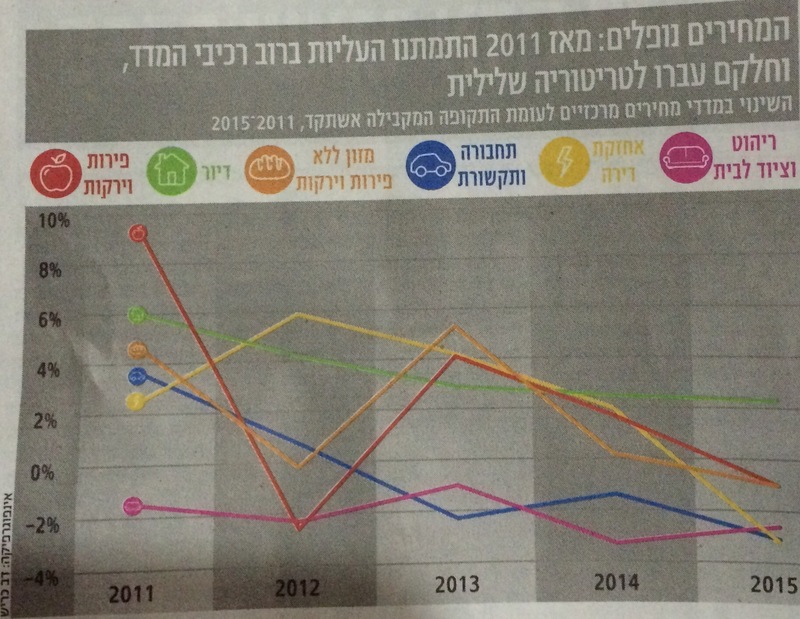 To end this post on a positive note, below is a poor copy of a chart from yesterday’s Mekor Rishon showing the change in prices since 2011. Red is fruits/vegetables, green is housing prices, tan is food without fruits/vegetables, yellow is house maintenance, and pink is furniture and house supplies. Except for a blip in 2013, everything has gone down since 2011, and a few items even went into minus. Maybe the message here is that we need to take a step back and look at the big picture. 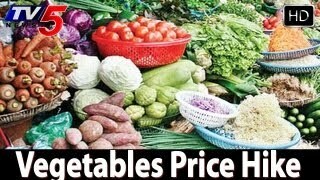 I don’t know about you, but every time I go to the store to buy vegetables, I am constantly surprised by the prices. In the beginning of the year, we were warned of high prices because of shemita and so I prepared accordingly. Since then, the Russian economy collapsed and the weather in Europe became so pleasant for growing vegetables that they stopped importing Israeli produce. Add to that the increased demand for Palestinian produce, and the fruit and vegetable prices dropped through the floor. The farmers were hysterical, leaving food in their fields to rot because they couldn’t earn back the money it cost to harvest the field. I was quite enjoying my bounty when suddenly before Pesach the prices rose again. Why? No mentioned reason- probably because it was pre-Pesach. Last week, however, the cold weather that caused “the plague of hail” is being blamed for another increase in prices this week. Avocados, for example, are 15 shekels/kg and white grapes are 30 shekels/kg. Now it is “sharav”- let’s see if the prices will drop back down again. 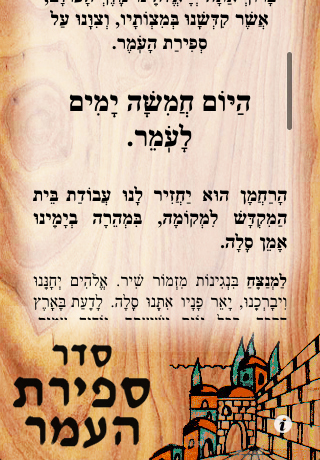 The second day of Pesach is the first day of Sefirat HaOmer. If you have tried all sorts of reminders but tend to forget to count anyway, check out Rusty Brick’s Sefirat HaOmer app for iPhone and Android. The app itself is free but if you pay 99 cents, you will get a daily reminder to count with the correct number in the listing. In my opinion, this is the best 99 cents I have ever spent- I tried setting up reminders in Google Calendar but the number wouldn’t change with each successive day. You can pick what time of day the reminder is sent and it does not send reminders on Shabbat/Yom Tov. It is ironic- all around the world, there are BDSers who refuse to buy Israeli products because they don’t believe in Israel. The Palestinians, however, have always purchased Israeli milk and other products from companies such as Osem, Tnuva, Prigat and more. In fact, there is a commercial for a supermarket in Gaza that features Israeli products- some with Arabic and some with Hebrew on it. Last week, however, things began to change. Israel decided to withhold tax revenues that were supposed to be transferred to the PA in response to the PA’s application to join the Hague International Criminal Court. The ICC prosecutes genocide and war crimes. The December revenues amounted to approximately $127 million. In response to Israel’s response, the PA (without Abu Mazen) announced that they will forbid the entry of products from six Israeli companies: Osem, Tnuva, Strauss, Prigat, and Yafora (Schwepps, RC Cola, Ein Gedi, Mei Eden, Spring, and more) into the PA. Retailers have two weeks to exhaust their stocks. After that, the products are to be either returned or destroyed. The ban is to continue until Israel releases the tax revenues. How effective this ban will be is not clear. Tnuva sells only 3% of its production- approximately 200-250 million shekels- to the PA, mostly basic dairy products. Osem sells less than 2%, or 70 million shekels. Strauss sells even less- mainly ice cream and puddings. One of these companies’ managers told the Marker that the products they sell in the “reshut” are very basic products with a very low price tag because the area is not wealthy. The profit margin in the reshut is much lower than Israel. The only people who will get hurt by the ban are the consumers, who won’t be able to get alternative products locally. The retailers are also upset because while their shelves will be empty of basic necessities, people can go to a Rami Levy store close to the reshut and buy whatever they want. The retailers also are worried about a black market that might pop up in response to the demand from the people. The consumers will be forced to pay higher prices that they cannot afford to do for smuggled products that might not be kept at the proper temperature. What do you think? Was Israel justified in withholding tax revenues? Is the PA justified in boycotting Israeli products? Who is going to win this battle? Should there be an Israeli response to the boycott which is in response to Israel withholding tax revenues in response to the PA applying to join the ICC? And of course, the most important question- does this mean prices will increase here??? That time when all children get to live out their fantasy for one day is just around the corner. Whether they dream of being Elza, Spiderman, or a chayal, costume shopping in Israel is one of my most stressful experiences. On the one hand, it is best to start early to get the best selection and less crowds. On the other hand, my children are notorious for changing their mind a week beforehand leaving us stuck with either an extra unused costume or a really angry child. The advertisements are out now, so if you are successful in pinning down your child to one costume, I would say purchase it now. Costumes are not cheap. If you are adept at sewing or more creative than I am, a homemade costume is the most frugal option. I had one of those creative friends in chul who was also not Jewish so we were able to use her kids’ Halloween costumes on Purim. The chances of that happening in Israel are slim to none, but you can try and organize a local swap in your neighborhood or look on Facebook for a Purim Costume Swap group such as this one in Modiin. Aliexpress has free shipping to Israel and almost a million costumes. Shipping can take anywhere from a week to a month so check carefully before you buy. A search on eBay for costumes with free international shipping shows some great options but again, check shipping. The costume has to be here by March 4. Costume Kingdom in the US will also ship worldwide. Their International Standard Shipping starts at $12.95. The First Class shipping will arrive in 15-25 days and will not be traceable online, To qualify for Standard Air shipping, your shopping total must be $75 or less, and weigh no more than 4 pounds. International Express Shipping is $29.95 for the first pound, each additional pound is $4. Express Mail will arrive in approx 5-8 business days with full online tracking. Please make sure you if you need your package fast to select Express Mail. For something a little closer to home, check out Tilboshet. Quick Box is 9.90 shekels, registered mail is 15 shekels or you can pick up your order from their warehouse in Petach Tikva. Toys R Us has coupons listed below that expire tomorrow 4 Feb 2015. There will definitely be more coming up, so get their app (Google/iTunes) or go to their Facebook page to get more. 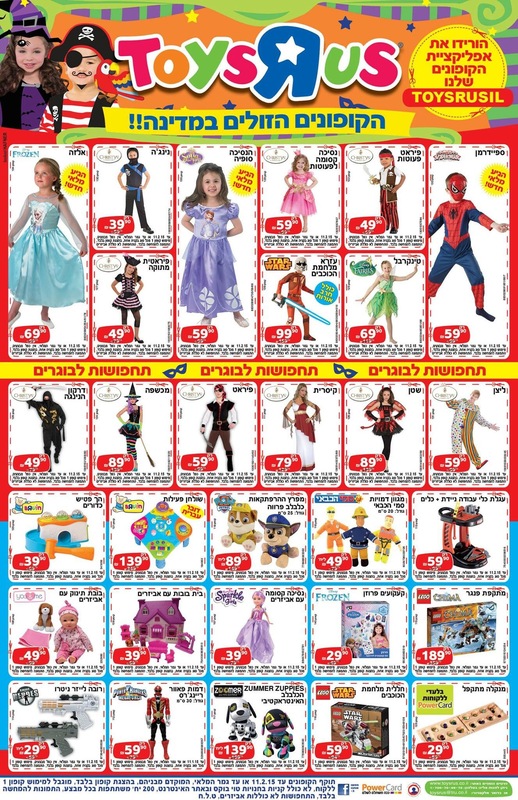 Idan 2000 is known for their low prices on costumes but they also have outlets is some stores where you can buy last year’s costumes for 10-50 shekels. Unfortunately they don’t advertise which stores have an outlet but you can call your local branch and ask. They also open an “Ir Tachposot” in the hangar at Tzomet Kastina which will also have very low prices. Shoshi Zohar is unique in that they also have costumes for the dati public. You can see all of their costumes on their web site. They also have a factory outlet in Holon for even lower prices. Beit HaTza’atzuim has stores in Talpiot and Jerusalem but it is not clear from their web site if one can buy costumes there. Shipping is 20 shekels for registered mail and 44 shekels for express mail. For a store that looks like it has truly huge selection, check out Purim boo in Tel Aviv. Are there any good deals near you? Pass them on!